WHEN: Monday, August 28th: 7:00 pm – 9:00 pm; Thursday September 7th: 7:00 pm – 9:00 pm. Callbacks by invitation only will be Saturday, September 9 at 11:00 am. Actors who attend the August 28th auditions will be notified within 48 hours if they are called back. September 7th auditioners will be notified within 24 hours. Please direct any questions to circleplayersnj@gmail.com. Auditioners will be asked to read sides from the script, which will be provided. Interested actors must attend auditions to be considered. Video submissions will not be accepted. 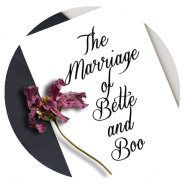 The Marriage of Bette and Boo, Christopher Durang’s most autobiographical play, is a dark and absurdist comedy concerned with the everyday tragedy of a failed marriage surrounded by two dysfunctional families. The play takes place over the course of 30 years, from the late 1940s to the late 1970s. We are looking for a cast of 10 skilled actors (5 women and 5 men) who possess both excellent comedic skills and the ability to bring a sense of truth to the characters. In reading the character descriptions below, please keep in mind that this play is first and foremost a comedy; though not without some pathos. MATT (male - approx. early to late 20s): The play’s narrator, he is the only surviving child of Bette and Boo. Matt tries to make sense of the chaotic history of his family by analyzing it the way he analyzes famous works of literature. During the play, we see Matt grow from a quiet 4 year old child to a 30 year old adult. BETTE BRENNAN (female - approx. late 20s to early 30s): A charming and vivacious woman, Bette has very strong ideas about how she wants her life to be, and doesn’t let other people’s reactions or simple reality get in her way. She can be childishly stubborn when events or family members don’t live up to her expectations. During the play we see Bette age from her mid 20’s to her mid 50’s. MARGARET BRENNAN (female - approx. late 40s to early 50s): Bette’s mother; unfailingly cheerful and jovial, almost to the point of callousness. She is of the old school who feels that one should not talk about unpleasant things. During the play we see Margaret age from a gracious lady in her late 40s to a woman in her 70s in the throes of dementia. PAUL BRENNAN (male - approx. late 40s to early 50s): Bette’s father; the most caring and sensible character in the play. Unfortunately he suffers from the effects of a stroke which makes his speech quite unintelligible. This causes him no end of (comic) frustration as he attempts to dispense common sense to his wayward family. EMILY BRENNAN (female - approx. late 20s to early 30s): Bette’s sister; a childlike, kind, and gentle soul who is pathologically (and comically) concerned about unintentionally offending other people. JOAN BRENNAN (female - approx. late 20s to early 30s): Bette’s sister; unhappy in her marriage, she is sullen, bitter, and jealous, with an acid wit. BOO HUDLOCKE (male - approx. early 30s to mid 40s): A sweet man who steadfastly tries to avoid conflict and ends up seeking refuge in alcohol. Boo has been dominated by his father for most of his life. During the play we see him age from a passive aggressive 32 year old to a mentally unfocussed man in his early 60s who is filled with vague regret. KARL HUDLOCKE (male - approx. late 40s to early 50s): Boo’s father; he is successful, misanthropic, and cruel, but with a certain charm. He enjoys saying whatever he wants and doesn’t care if other people’s feelings are hurt. During the play we see Karl age from a vital man in his 50s to a slightly more cranky man in his 80s. SOOT HUDLOCKE (female - approx. late 40s to early 50s): Boo’s mother; she is aggressively (and comically) oblivious. Soot has been laughing at her husband’s awful comments for so long that this survival technique has become unconscious. Yet there is a simmering resentment lurking underneath the jovial persona she usually shows to the world. FATHER DONNALLY (male - approx. late 40s to early 60s): Bette’s beleaguered parish priest. He tries his best to support his flock, but is frustrated by what he sees as people’s lack of basic common sense. Does a spirited imitation of a slice of bacon sizzling in a pan. The same actor doubles as the doctor who delivers all of Bette and Boo’s children.